Kathryn Irene (Kat, Nanny) Cromer, age 83, went to be with her heavenly father on November 30, 2018. She is preceded in death by her husband of 67 years, Charlie Floyd (Bud, Chief Red Feather) Cromer; daughters, Susan Ann Cromer and Wanda Faye Cromer; parents, Alice Place and Hubert Place; surrogate parents, Dellia and George Greenway; brother, Robert Place and sister, Georgia Louise Roper. Kat is survived by her children, Floyd “Toehead” and Linda Cromer, Bruce “Scooter Bill” and Nancy Cromer, Sally and Steve Robinson, Punkin and Jimmy Dickens, Donna and Bobby Matthews, and Debbie and Billy Scoggins. Nanny as she was known to many had a large extended family including 18 grandchildren, 46 great-grandchildren and 2 great-great grandchildren. Nanny and Pappa’s door was always open to people in need. Kat was born in Chatsworth, Georgia and moved to North Carolina when she was 15 years old and met the man of her dreams and was married a week later. The pair moved to Greensboro a few years later. She was a member of Jubilee Holiness Church. 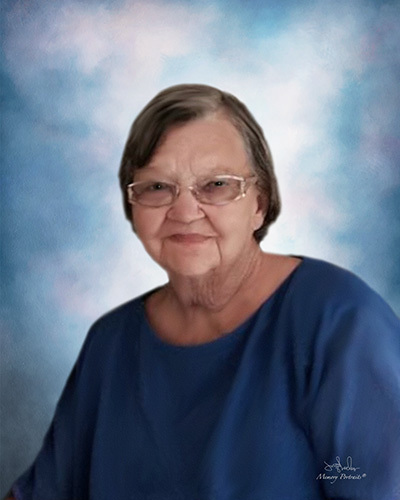 Kat had several occupations including, Troxler’s hosiery mill for over twenty years, Starr Davis Insulation Company for 10 years and retired from Industrial and Commercial after working there for ten years. The family would like to extend their gratitude to friends and extended family. A special thanks of gratitude to Hospice and Palliative Care of Alamance County, Dr. Mihai Croitoru and the nursing staff of Moses Cone Hospital. The family will receive visitors on Sunday, December 2, 2018 from 6-8 pm at George Brothers Funeral Service, 803 Greenhaven Dr. Greensboro, NC 27406. Funeral Service will be held 2:00 pm on Monday, December 3, 2018 at George Brothers Chapel. Internment will follow at Lakeview Memorial Park, Greensboro, NC.